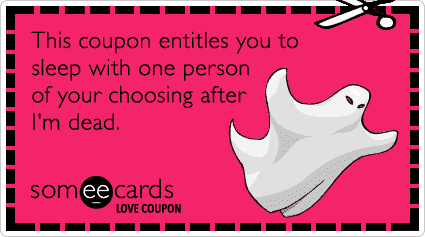 Have you ever given or received a love coupon? 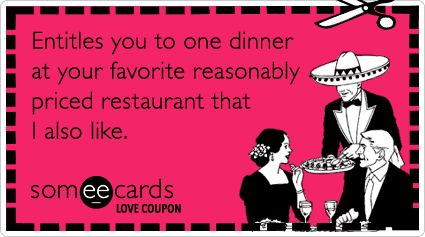 A love coupon is a handmade, tiny morsel of love. 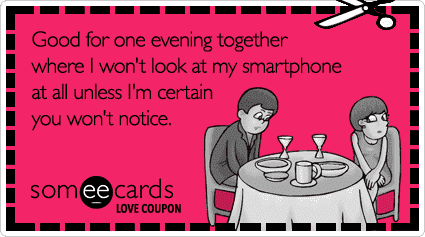 A love coupon also is a great way to show your partner you care while saving a buck every now and then. 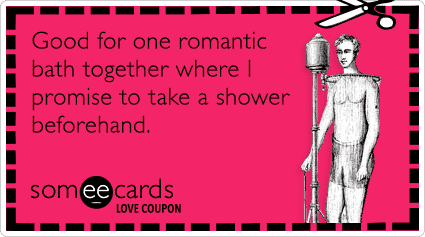 We’ve found 10 funny love coupons to be given to the person you’re dating or in a relationship with. 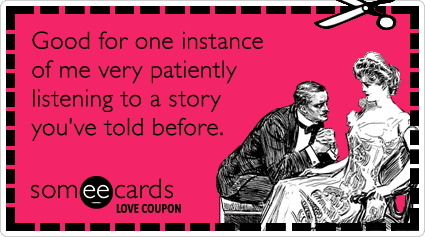 These awkward situations are especially funny when turned into love coupons – just make sure he or she has a sense of humor! 1. We can all fantasize. Can’t we? Make sure to pick out specific characteristics about your partner that you find attractive and focus on these. It will make you desire them more rather than looking elsewhere for satisfaction. 2. 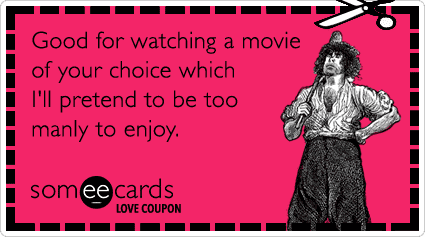 Guys can watch chick flicks, too. It’s OK for a guy to shed a tear when watching girly movies, though we won’t admit it openly. It creates bonding and doesn’t take away from your manliness. 3. If you’re this smelly, then you have problems. Guys, take care of your hygiene. Some people may say it’s OK to be grungy, but your chances of attracting someone to you are much higher if you practice good hygiene – duh. 4. Yes, sometimes your partner can bore you. Just nod and smile. 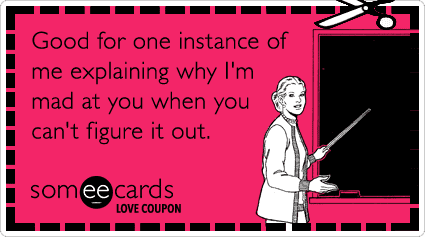 Listening skills are important in relationships. Listen first and talk second. Your woman will thank you! 5. Having last night’s food dried to the plate is pretty appetizing. 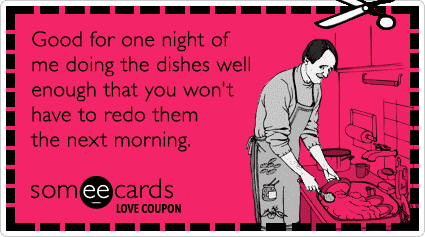 Cleaning up the house can score you some bonus points with your significant other. It also takes the responsibility off their hands so they can relax. 6. That awkward moment when they’re more drunk than you are. 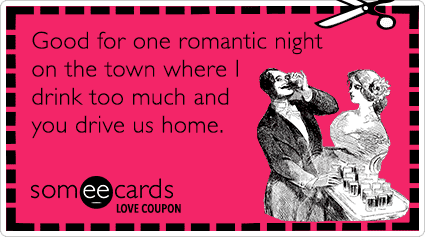 It’s nice to be the designated driver for your date, but it’s even better when you both can partake and then get a cab. It might help you get laid, too! 7. The stars have aligned for you, sir. You’re lucky if your woman ever does this. Develop your intuition and learn how to understand your woman. 8. If you don’t do this, you could be adding a new one soon. 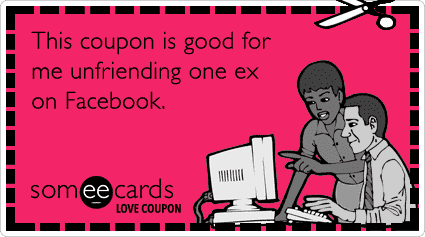 Be courteous and cut ties with your exes when you have a new partner. 9. Yes, being self-centered does work sometimes. It’s OK to sacrifice and set a budget for someone you care about. Give and you will receive. 10. Sometimes you just have to do it. Give your partner your full attention, especially if you want that in return.